Multifamily assets are often subject to stricter lending standards than they were a few years ago, but the right sponsors and projects can still secure funding. In this Viewpoint piece, a Webster Bank executive weighs in on the changing capital markets landscape. For the last five years, multifamily has been a preferred asset type for most CRE lenders. 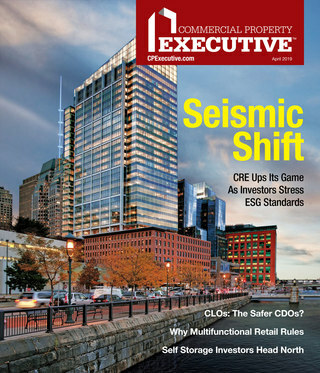 There has been an insatiable appetite for any type of multifamily project. Whether it was large or small, urban or suburban, construction or permanent; many lenders flocked to this property type as they restarted their lending programs coming out of the Great Recession. Now, many of these same capital providers are backing away from this type of lending. The conventional wisdom suggests that it’s for a variety of reasons and likely specific to each lender’s own situation. Certainly, significant new supply has been added, and recently we have seen some softening as concessions are once again being offered to entice residents. Values have also peaked since the Great Recession, and in most markets, multifamily values are higher. Many lenders are full up, and have backed off their appetites, saving their powder for the best deals or sponsors with which they have relationships. Lastly, regulatory pressure and the current regulatory environment, Basel III and the resulting higher capital requirements are also playing a role in the decreased demand. Historically, multifamily has been one of the better performing property types through all the cycles, so it’s no surprise it’s a preferred asset type of most lenders. Further, coming out of the Great Recession, there was very little new construction of both multifamily and single-family homes, which is why demand far exceeded supply, and why we have seen the sizable rent growth and value appreciation that we have in this sector. We have also seen a paradigm shift because Millennials are slower to get married and settle down and prefer to live in urban settings. We are also seeing a change in the Baby Boomers’ preferences as they become empty nesters, selling their big homes in the suburbs and moving to the cities to live, work and play. 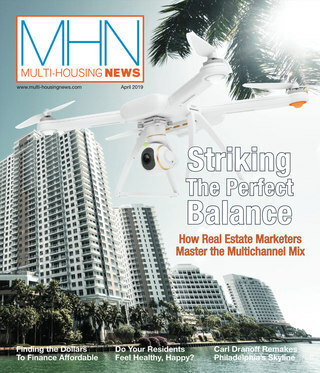 All of this has created increased demand for multifamily housing. Regardless, we are now seeing fewer and fewer lenders willing to finance many of these projects. Given this demand/supply imbalance, lenders who are still willing to lend can make more conservative loans and get paid more. Once again, the better projects and sponsors with more capital will be able to get their projects financed, while the inferior projects and less capitalized sponsors will have more difficulty. This disproportion is likely to have a positive impact in limiting supply, which should let the sector to absorb the current pipeline of new units and allow for demand to once again catch up with supply. We are also seeing overall CRE markets in somewhat of a “state of flux,” as sellers and buyers are not in sync with values and many owners/developers wait for more certainty around interest rates and direction from the new administration in D.C. Although this so-called “cooling off” period will likely result in less transactional activity, it should further benefit the longer-term health of multifamily. The adage holds true: “It’s a good time to be a lender when everyone else is sitting on the sidelines.” The current imbalance could create opportunities for lenders who have room on their balance sheets to grow their multifamily product. Of course, the risk is, unlike in previous cycles, multifamily becomes the “show” if there is another downturn or correction. Although multifamily markets and values have likely peaked, there are still opportunities to do prudent deals with strong sponsors at much better leverage points and get paid more, and it’s likely that the imbalance in lending will allow a return to equilibrium sooner than later. We believe the better deals will still find financing, and the lesser-quality deals will need to find alternative, more expensive sources of money, or not get financed at all. Bill Wrang is executive vice president of commercial real estate at Webster Bank. He joined Webster in 1998 to lead commercial real estate as part of Webster’s strategy to meaningfully expand its commercial banking business. Prior to joining Webster, Wrang worked at Aetna, where he was a real estate lender, and then was promoted to chief risk credit officer. Living up to the communities he serves, Wrang has been a dedicated supporter of the Middlesex County United Way. He served as the campaign chairman in 2005 and as president from 2006-2008, earning the Community Service Award in 2011—the highest honor bestowed upon a United Way volunteer. He has also been named the Distinguished Citizen of the Year by the Middlesex Chamber of Commerce.